Kelly hasn't even had her onboard coaching yet. Looks like she's already moving forward. She's on fire. Keep an eye out for this one! 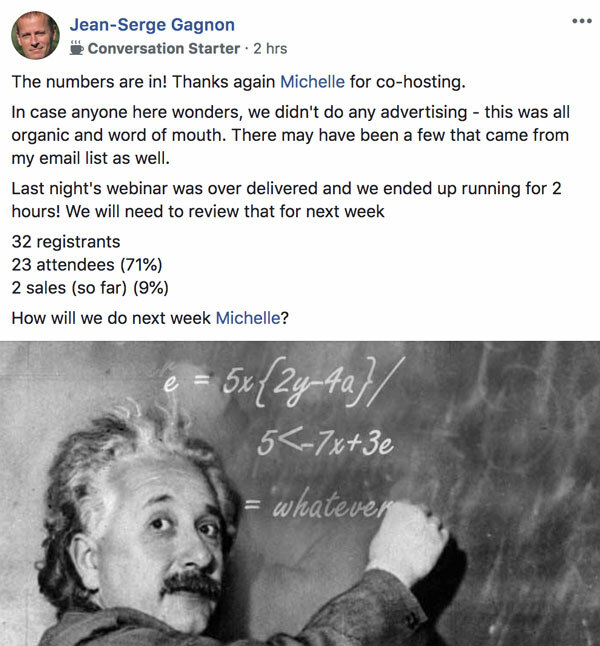 “32 registrants, 23 attendees, 2 sales (so far)! 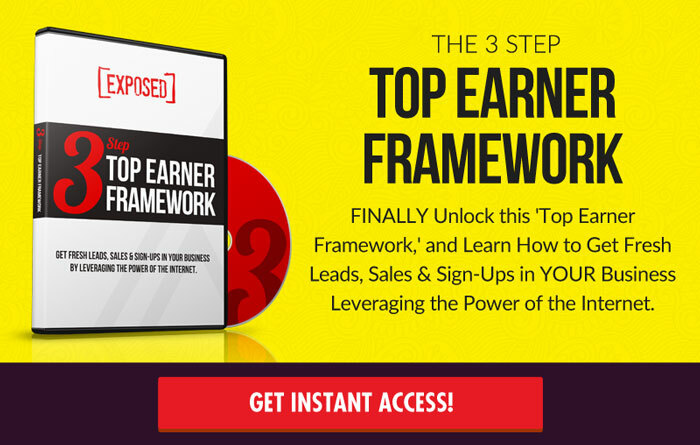 Jean-Serge Gagnon had an epic webinar this week. In case you haven't heard, webinar marketing is one of the most effective ways to engage an audience and create sales almost on demand. It's a skill, and like any skill, every time you do it, it gets better. This is what taking action looks like. Here's something L5 leader Jelena Ostrovska understands completely. 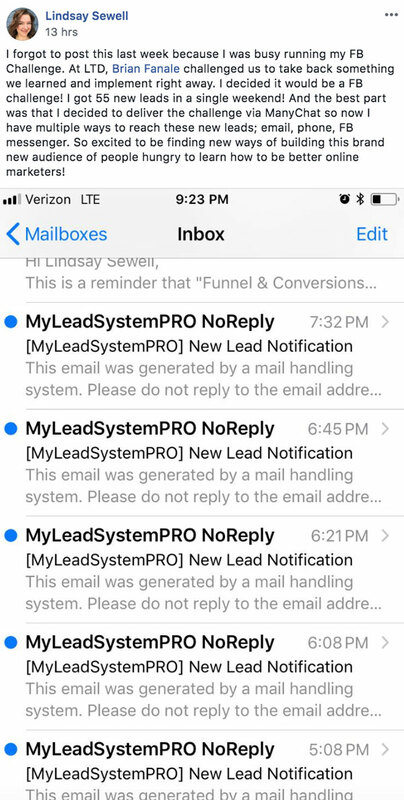 The Russian Marketing Ninja understands that people are HUNGRY for what MLSP teaches. 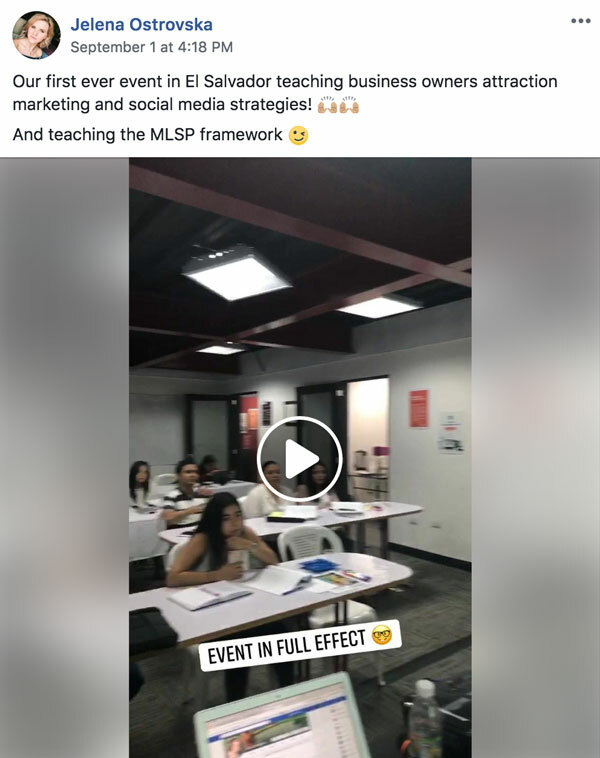 She recently participated in a workshop teaching attraction marketing and the MLSP framework in El Salvador, and as you'll see in the screenshot below, the attendees were riveted. You may not even understand yet how powerful what you have right at your fingertips truly is all around the WORLD! Lindsay Sewell took MLSP CEO Brian Fanale up on his challenge at Live the Dream Event in a month ago in August. And that's how she got those awesome results. This is what happens when you just take action on an idea, and run with it. 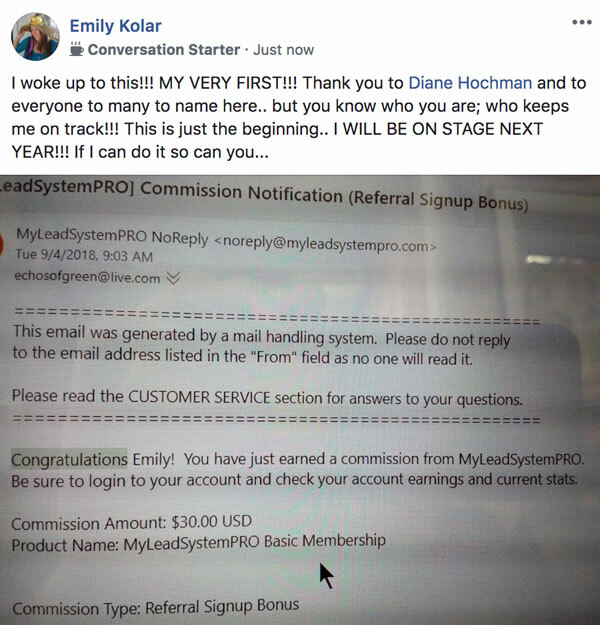 And now Lindsay is seeing the fruits of that and building her audience, and getting new leads. BOOM! Emily Kolar just busted into the commission zone! 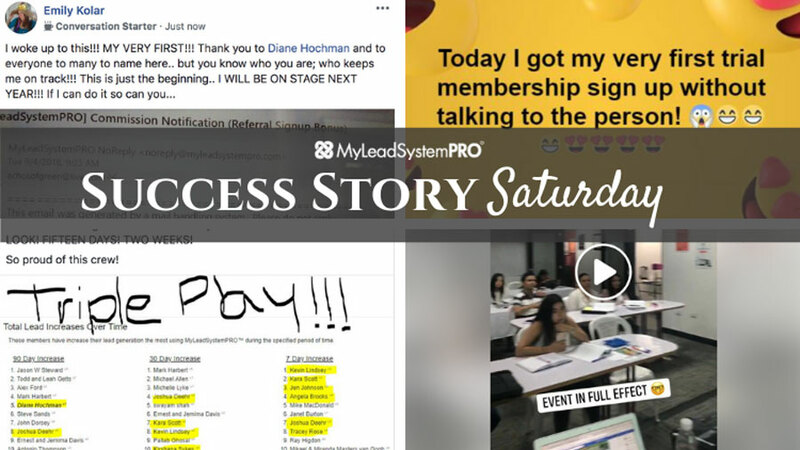 She's been learning the secrets of Attraction Marketing with Diane Hochman and taking massive action! And now she's getting the results! 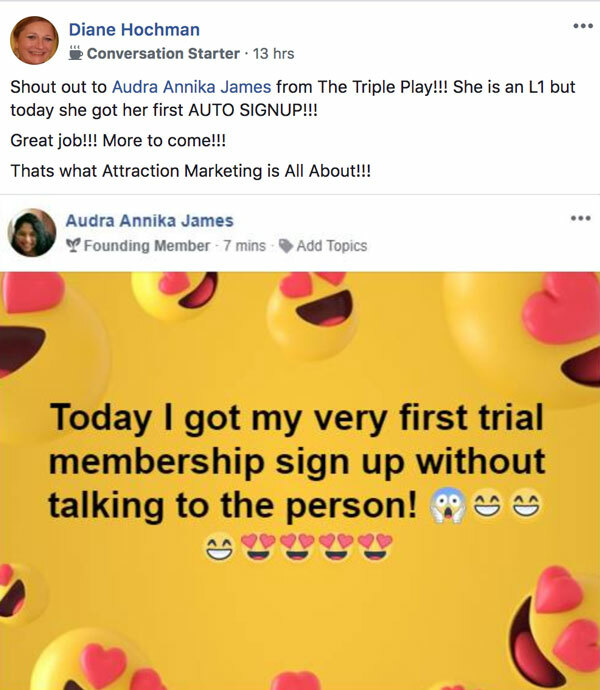 Audra Annika James is following the Queen's lead and is seeing sign-ups coming from people she hasn't even talked to yet. She's in Diane Hochman's Attraction Marketing Triple Play and is developing the skills of attraction marketing that will serve her forever! 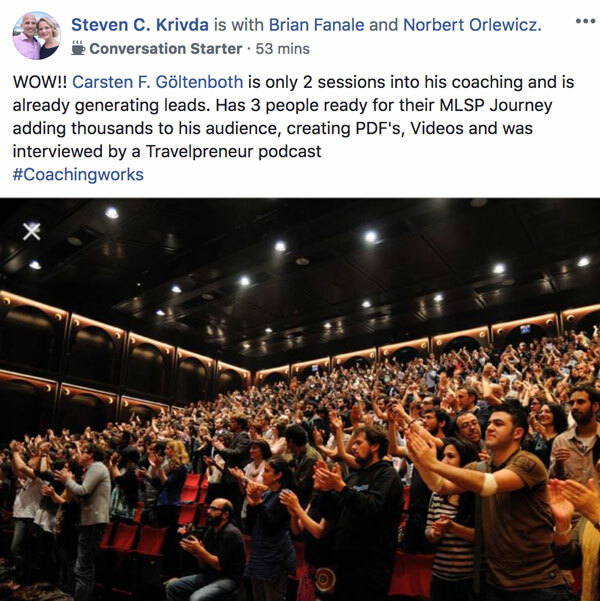 Carsten F. Goltenboth has already impressed his new coach with his results! Sheesh. Carsten is on the move. Steve Krivda is certainly not the only one impressed. This dude's gotten our attention. Great work Carsten! 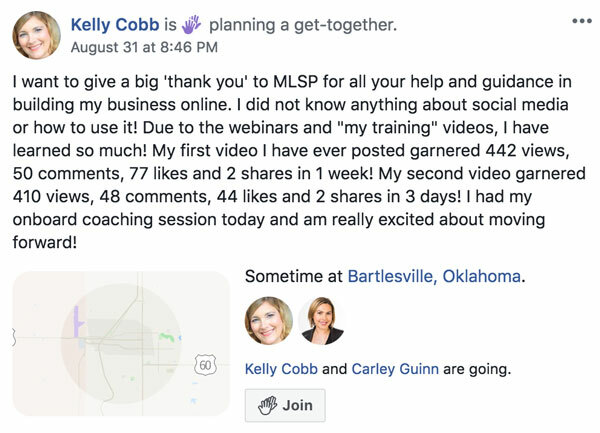 Check Out All the Success Story Screenshots from Inside the Private MLSP Community Below!